The trail goes up a small drainage to the first obstacle, which is a long field of boulders that continues for about 200 yards. The trail then smooths out and winds its way up to a split. To the right is the original trail that leads to a large waterfall. To the left is Cactus 2, which leads to a hill covered with large, loose boulders. The trails come back together at the top and continue on a steep downhill section covered with loose dirt and small rocks. This road loops around and back to the start of the trail. Continue the way you came in to return to Rim Road. All descriptions and ratings are from a Montrose website. 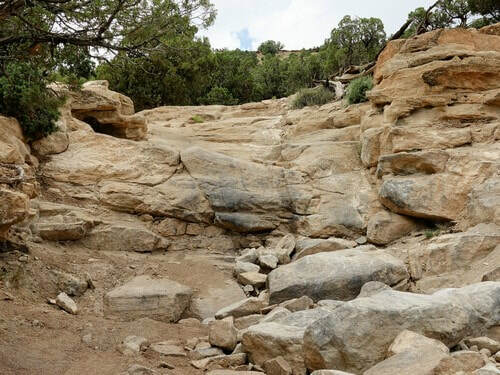 ​All trails are rated on a 10 point scale and were rated by whoever set up the area, not by JeepTheUSA. 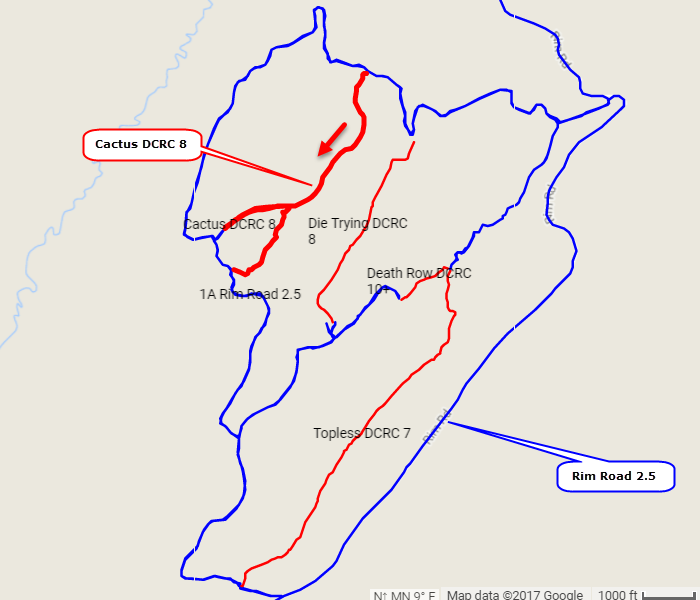 ​This trail is accessed by Rim Road 2.5.